Organizational consultant and author Simon Sinek tells us that success comes to organizations who focus on telling us why they do what they do. In other words, what values or beliefs drive the organization. However, most organizations spend their time talking about what they do and how they do it. Sinek points out that “what and how” won’t motivate anyone to buy from an organization. Successful organizations and people are value driven. I have been thinking about this idea of focusing on the values that drive actions lately. Consider the back and forth in Washington about building a wall to better secure our southern borders. The argument got so divisive that we had a partial shutdown of the government for 35 days; this is a result no one could have wanted. Basically, we have been arguing about what we will do and how it will be done. In actuality, we probably agree on the why: following immigration laws. Here are some facts about our southern border. Admittedly, we don’t know precisely how many illegal immigrants have entered our country. We do know how many are apprehended while attempting to enter illegally. Homeland Security estimates that about 20% of those apprehended get through our border. Last year saw nearly 400K apprehensions reported; using the 20% rule, about 80K illegal immigrants gained access to our country. It is true that the instance of apprehension is much lower than in the past. Between 1984 and 1988, the average annual apprehensions were over one million and 1.6 million in the highest year. Between 2011 and 2017, it averaged between 300K and 400K. So again using the 20% rule, we are averaging around 70K illegal immigrants entering annually vs. the roughly 240K in the peak years during the 1980s. I keep hearing conservatives claim that Democrats don’t care about border security. 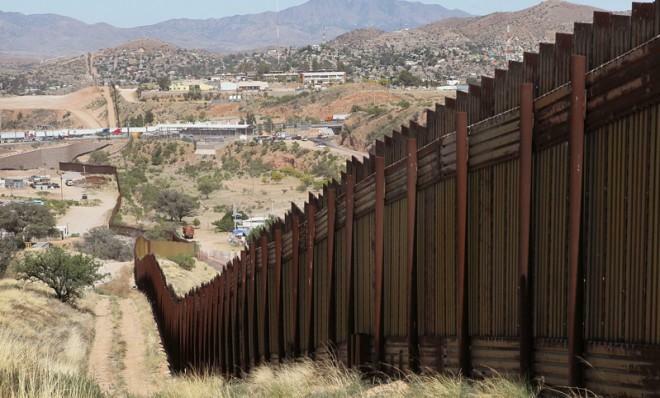 Democrats say they do want secure borders but disagree with the singular solution the president is proposing a la a huge wall. Back and forth, the insults go like a tennis ball. Frankly, many of us are getting a stiff neck trying to follow that ball. Here is my proposal. Let’s do as Simon Sinek says, and focus on the values involved rather than the what and how. We all want our laws followed, and we all see the violation of those laws with 70,000 annual illegal immigrants crossing the border. We all believe in the rule of law. If we were to start with this agreement instead of the disagreement of what and how, we should be able to solve our problem relying on security experts, not the President or Congress. However, there is another wrinkle. Many are coming here for safety reasons, fleeing crime and gang violence in their countries. Again, if we focus first on our shared beliefs, we need to come up with the policies necessary to provide the what and how. My bet is that we all want our country to be welcoming to those asylum seekers, but we also recognize that we have limits on our ability to accept them. Define our shared value turning it into a number, and we will have defined our agreement. Now, the what and how should be obvious.